Xylem GRVT610BK 61" Stone Vanity Top with Backsplash for Double Vessel Sinks in Black Granite****, Avi Depot=Much More Value For Your Money! The Xylem 61 in. 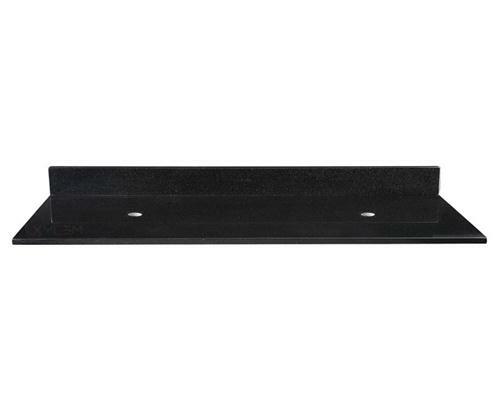 Granite Vanity Top in Black with no Basin Included features 2 pre-drilled drain hole openings to accommodate the vessel style of your choice so you may give your bathroom a customized look to suit your design aesthetics. The vanity top's granite surface promotes long-lasting performance and enjoyment while its black color adds an elegant touch to your bathroom to enhance its overall appeal. The included backsplash helps keep water from damaging your wall and vanity top.